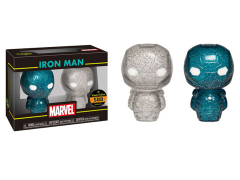 Iron Man is the latest addition to Hikari XS! Shown in Iron Man's notable colors, a glittery blue and silver! These high-quality Hikari XS Premium Japanese vinyl figures stand 4 inches (10.16cm) tall.